In this WiAP webinar, Pitching projects and ideas to investors, participants will learn effective skills on how to create and present pitches. Worksheets on how to create and prepare for your pitch are available here. A list of business resources, tips for working with impact investors, a list of opportunities for awards, funding and networking, and more, compiled by the Global Social Benefit Institute (GSBI) is available here. A video of an excellent real-life pitch Habiba presented to investors. A list of useful investment contacts, generously compiled by Habiba. 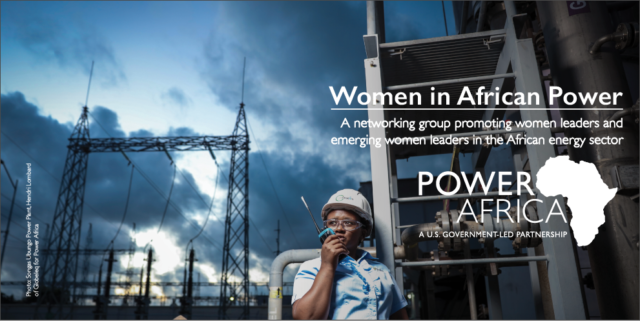 View the video to learn more about Power Africa and Women in African Power (WiAP) in a webinar designed to introduce participants —particularly for women working in the energy sector— to effective skills on how to create and present pitches.